I’ve been lucky enough to have MVP Troy Hunt on a CIAOPS podcast (http://ciaops.podbean.com/2012/02/28/episode-24-troy-hunt/) as well as present on a Desktop to Cloud webinar (https://www.youtube.com/watch?v=bxu5qYCtv1s). Troy has now done an excellent introduction/overview video on Windows Azure. This is really great if you are wanting to know what Azure actually does and for resellers it also goes into how you can make money with the platform. The video is about 90 minutes but well worth setting aside the time to watch as it will answer many questions you may have. Great work Troy. If you haven’t already, head over to Troy’s blog (http://www.troyhunt.com/) and follow all the amazing stuff he blogs about and the information he provides. it is basically a OneNote scanner for your pocket. This is really handy addition to your Windows Phone. it is a personalized news reader. Some BRILLIANT news from Microsoft. They have made OneNote available on all platforms for FREE! This includes for the MAC for which I have been waiting for so long. Not having OneNote on the MAC was a huge limitation for me given I use it so much. 1. OneNote for Mac is available for the first time and for free! With this, OneNote is now available on all the platforms: PC, Mac, Windows tablets, Windows Phone, iPad, iPhone, Android and the Web. And they’re always in sync. 2. OneNote is now free everywhere including the Windows PC desktop and Mac version. Premium features are available to paid customers. 3. The OneNote service now provides a cloud API enabling any application to connect to it. This makes it easier than ever to capture ideas, information and inspirations from more applications and more places straight into OneNote. So if you haven’t experienced the joy of OneNote, now there is no excuse not to be using it EVERYWHERE! I’m installing on my MAC as we speak and will report shortly on what I find. In this episode I’m joined by Xbox MVP Mark Libman to talk everything xBox. Marks shares his experiences on the XBox, E3 conference and what it’s like to be a Microsoft MVP. It’s a bit different from the normal business stuff the podcast focuses on. Remember, if you have a suggestion or want to appear on an episode simply get in contact with me. The Express Data and Microsoft Office 365 road show rolls into Sydney this Wednesday the 19th of March from 8am at the Microsoft Offices in North Ryde. 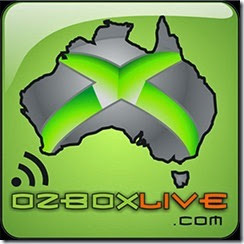 The following Friday the 28th of March it is in the Microsoft Offices in Brisbane. We are also having an informal get together before each event. For Sydney the event it will be tonight, Monday the 17th of March from 6.30pm at the Oaks in Neutral Bay and in Brisbane on Thursday the 27th from 6.30pm in the city. If you are interested in either of these events I’d appreciate you getting in contact with me (director@ciaops.com) to confirm your attendance, so we can plan numbers. I look forward to seeing everyone at these upcoming events. One of the major misconceptions may people are under is that SharePoint is simply another files and folders repository. SharePoint is a collaboration solution and therefore a very different beast from what many may be familiar working with. A good example is the issue around the modified field. Let me explain. One of the many things that SharePoint allows is the mapping of a document library using Windows Explorer as you can see above. 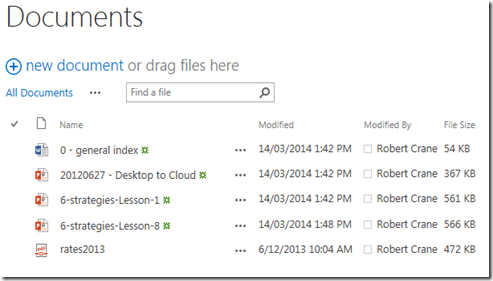 You can easily drag and drop files into a SharePoint library using this interface. If you now look at the file listing in the web interface of SharePoint after copying the files across using Windows Explorer you will see that the Modified field is different in the web interface from that in the Windows Explorer view. Why is that? The reason is that SharePoint is a collaboration system not simply files and folders storage as I said before. What does that mean? What it means is that when a document is copied to SharePoint it is now only part of an item in a list of items that together constitute a Document Library. What that means is that in SharePoint an item is not only just the file but also things like previous versions, workflows, additional metadata, check in status and so on. If we take a look at the properties of another item in another SharePoint Document Library that includes some of these additional elements you’ll see what I mean. So for example, the above item includes a file called 0 – general index.docx and Title but it also contains an additional field called Customer. Thus, this Document Library item is composed of a file AND metadata. So if any of these elements of the item change then the Modified field for the whole item will change. Thus, in a SharePoint Document library the file inside an item can remain unchanged but other information around that file in the item can change. These changes can trigger things like workflows so it important that a change anywhere in the item is reflected by SharePoint. So in summary, remember SharePoint is not simply a files and folders replacements, it is a collaboration system and therefore different. Uploading a single file into SharePoint adds that file to an item in SharePoint that contain additional information such as metadata. Thus, any uploaded file is only part of the item in SharePoint. The Modified information you see in the web interface for SharePoint refers to the whole item, whereas the information you see via Windows Explorer (which is a much simpler client than a browser) refers directly and only to the file because it can’t read any of the additional item information from SharePoint. I hope all that makes sense. There is little doubt in my mind that the need to know and understand SharePoint is imperative if you plan to work in a Microsoft and especially Office 365 world. With this in mind, one of best events for all the cutting edit information about SharePoint is the SharePoint conference, recently held in Las Vegas. I attended the event the year before and it was huge! There is a huge amount of content that will take many, many weeks to work through but kudos to Microsoft for making it available and doing so quickly!